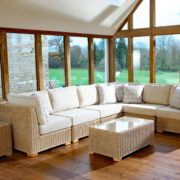 Create a bespoke sofa layout that you can modify and arrange as your style and requirements change. The cordoba corner seat can be used on the left or right of the sofa and fits nicely with armless chair. How big is the sofa? You decide! 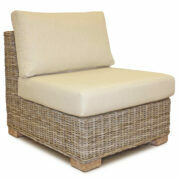 The corner seat comes in a natural almond patina colour with solid pine washed legs. 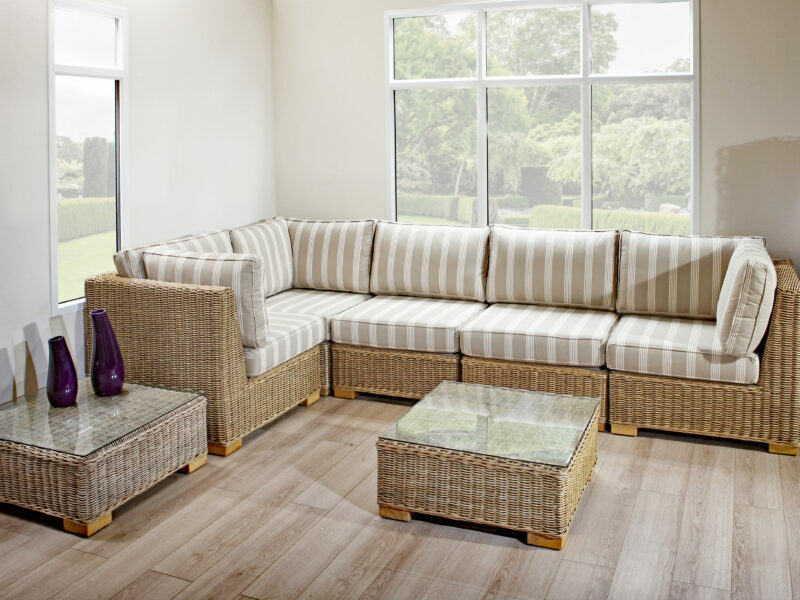 You'll be able to choose between deep and firm cushioning to create the most comfortable sofa you'll ever own. 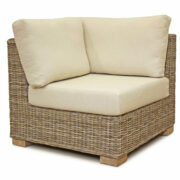 Much like the corner seat, the cordoba armless chair comes in an almond patina colour with the same pine washed legs. 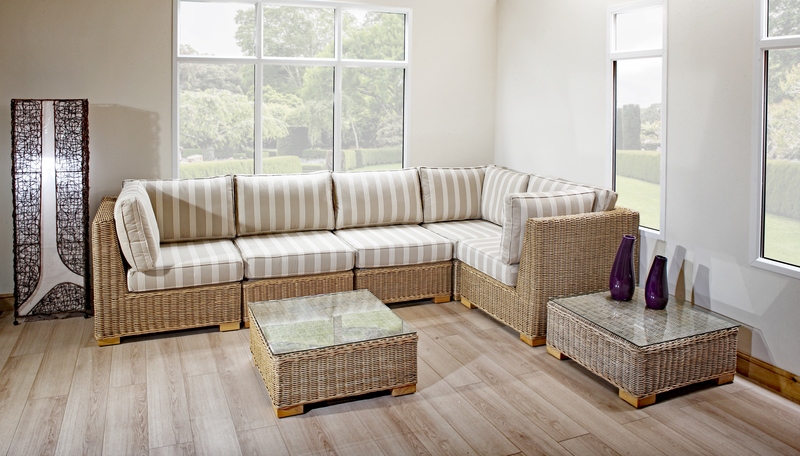 Create your own unique sofa by combining our chairs and seats. 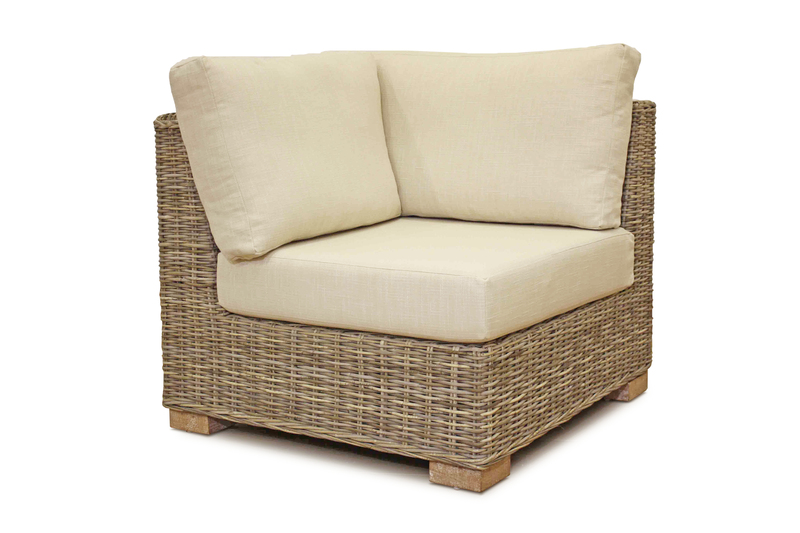 A solid structure, with comfortable cushioning, the armless chair is made with woven rattan. 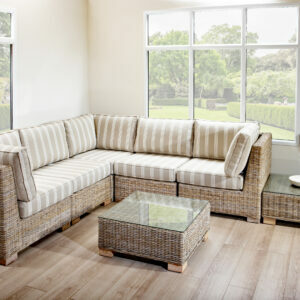 This makes it easy to clean and maintain, perfect for any family home. 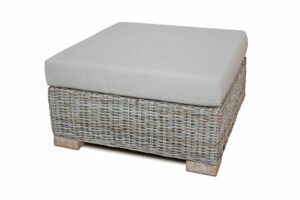 Our cordoba ottoman is the perfect addition to your home. 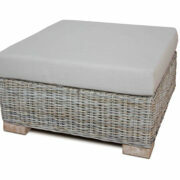 It can act as a footrest or an extra seating option for larger gatherings. 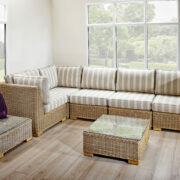 As part of the cordoba range, it is finished in an almond patina colour with pine washed legs. 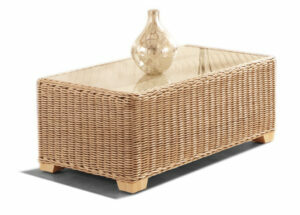 The low square cordoba coffee table is the ideal centrepiece for any room. The versatile table is perfect for playing games with the family, hosting a dinner party or for using on a day to day basis. The neutral almond patina finish ensures that it works in modern or traditionally styled homes. 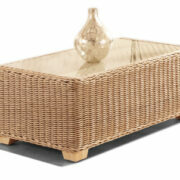 The rectangular cordoba coffee table is made from woven almond patina rattan. 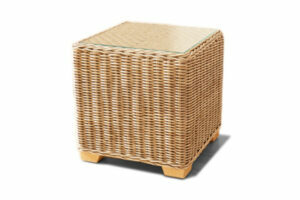 It comes with a beautiful tempered glass top and is ideal for any living room. 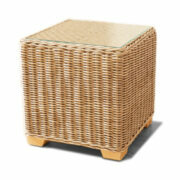 The cordoba side table compliments the corner seats and armless chairs perfectly. If you've got the middle seat, where do you put your drink? 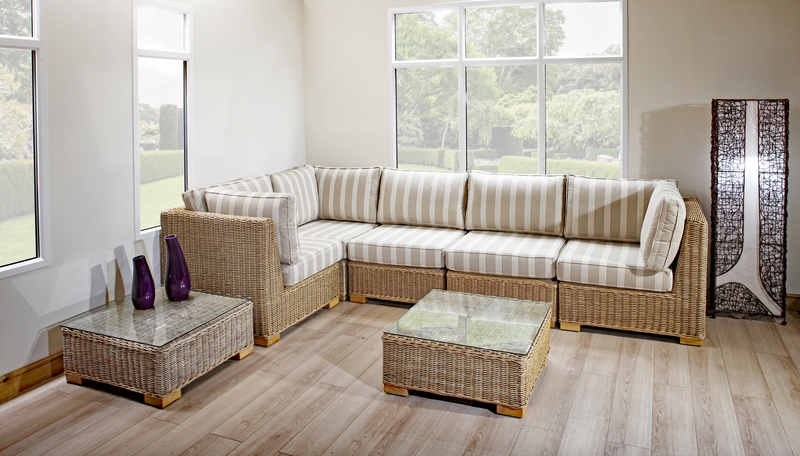 The versatility of our cordoba range means that you can add a sidetable between elements of your sofa. We'll let you decide on how you do that though! 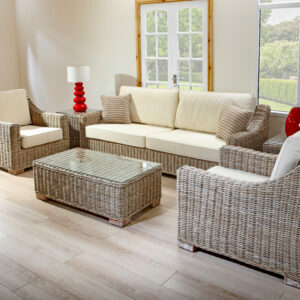 A natural almond patina colour ensure it matches the rest of our cordoba range. 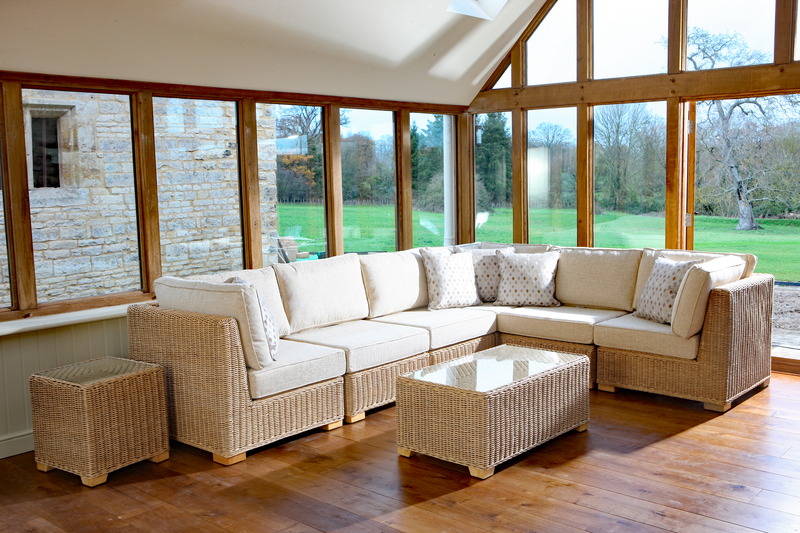 Our cordoba corner group is a modular set of chairs that form a luxurious, bespoke seating arrangement for your home. The cordoba corner seat and armless chair feature a beautiful almond patina finish and a durable rattan structure. 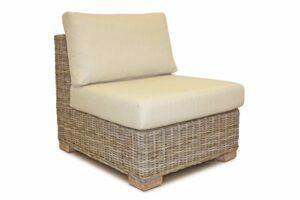 Each chair and seat possesses a sprung base that provides maximum comfort. 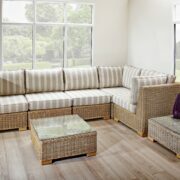 Combine this with our supportive cushions and you’ve got the sofa you’ve always dreamed of! 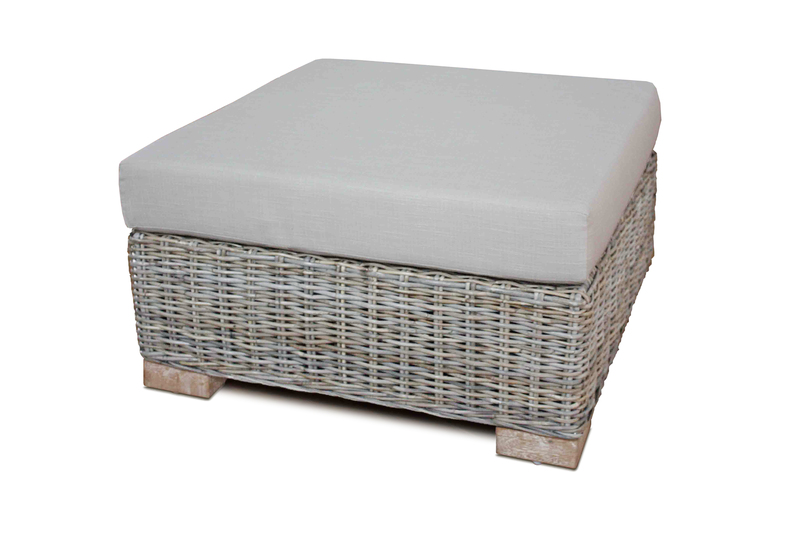 Compliment your sofa with our cordoba ottoman that can be used as a stool or footrest. Choose between the low square coffee table and our traditional rectangular to complete your room.